Montezuma nightclub in Kensington offers beautiful decor and imagery with music from top London DJs. "Montezuma has arrived to conquer South Kensington´s nightlife scene! Recently launched in December 2015, this brand new local hot spot is named after the last Aztec emperor Montezuma II who led the Aztecs during the Spanish conquest. 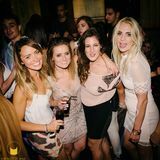 Located in the heart of South Kensington, just a stone´s throw away from the station, local restaurants and bars, Montezuma is quickly attracting fashionable party goers and the local Chelsea/Kensington set with a late license until 3am. A stylish golden interior and incredible house music DJ’s, Montezuma combines late-night dancing in a stunning intimate setting. For more information, table bookings, guest list and private events, please contact our in-house Aztecan empress Sara. Montezuma is available for private hire Sunday-Thursday and open every Friday and Saturday evening from 10pm to 3am. Bartenders Favourite, based with American Bourbon Jim Beam White, Sugar cube diped in Angostura Bitters, stirred and served on the rocks with a zest of Orange. -Manhattan 1870's New York favourite Martini, with Canadian Club Rye Whiskey, Angostura Bitters, Marashino, Vermouth. Served with your preference of sweet, Dry or Perfect. South America Cuba's classic, Brugal Blanco Rum Shaken with fresh Lime Juice, Gomme Syrup, served straight up or on the rocks. 16th Century Havana's Mojito, Brugal 5yrs Old Rum with fresh Mint, fresh Lime and Sugar, served all over crushed ice. From Florence Italy's 1909, Tanqueray Gin, sweet Vermouth and Campari stirred and served on the rocks with a zest of orange. Fresh Mint with Gomme Syrup crushed together, Soda Water served over crushed ice. Your classic mary's Virgin fresh Tomato juice, Tabasco, Worcherster sauce, fresh Lime juice, Celery Salt and Black Pepper stirred over ice. Fresh pineapple, Passion fruit and fresh Lime shaken and served in a iced cold glass, topped with Ginger Ale. Whole passion fruit, Apple Juice, Fresh Mint and Elderflower, with a dash of lemon juice. Theme parties and other entertainment are available on request. What did you think of Montezuma? Montezuma is amazing! 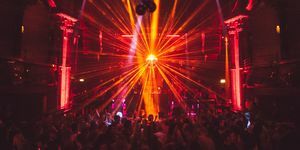 I visited as a recommendation from Alex from London Night Guide where we booked our guestlist too and we loved it! I will definitely visit it again once I'm back in London! An amazing 'hidden' gem in South Kensington! An amazing 'hidden' gem in South Kensington, close to Boujis! Went with my colleagues after a dinner party and loved it, music is great and atmosphere is top! Need reservation to avoid queues.